The extinction of several species of large lemurs in Madagascar has created isolated "orphaned" plant species that once depended upon the animals to eat and disperse their large seeds, a Yale-led survey has found. 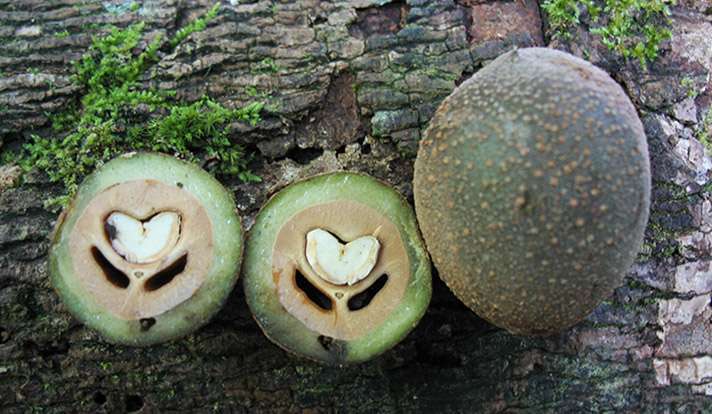 These large-seeded plant species face an uncertain future without lemurs capable of eating and dispersing their seeds, according to Yale's Sarah Federman, a Ph.D. candidate in the Department of Ecology and Evolutionary Biology and lead author of the study published the week of April 11 in the Proceedings of the National Academy of Sciences. "We need to understand the impacts of past extinction events or we cannot adequately design conservation plans for the future,'' Federman said. An estimated 17 species of large lemur have gone extinct in the last few thousand years, and many of them are thought to have been important seed dispersers. Researchers examined characteristics of extinct and living lemur species to estimate the dispersal ability lost with these extinctions and to predict the impact on the island's flora. In the absence of now-extinct lemurs, plant species with large seeds became "orphaned" or reliant upon poor dispersal substitutes such as wind, gravity, or rodents. 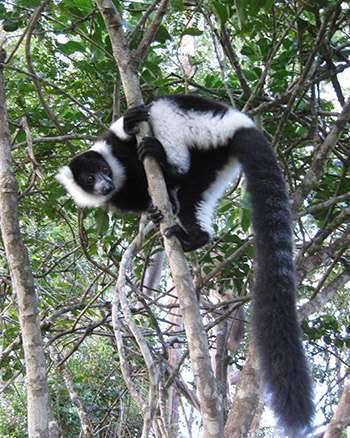 Researchers also identified contemporary examples of a precarious balance between lemurs and plants in Madagascar. For instance, the critically endangered black-and-white ruffed lemur is the last remaining species large enough to eat and disperse seeds of Canarium species. These plant species might be eventually lost if this lemur species goes extinct, say the researchers. Andrea L. Baden of the Department of Anthropology at Hunter College is senior author of the paper. Researchers from Duke University, the New York Botanical Garden, and North Carolina Museum of Natural Sciences also contributed to the research.